Whether it was down to the lack of commercial success of the 1982 studio album, “Los Hombres Malo,” or simply because they thought it was the appropriate time but in 1982, The Outlaws decided to release a greatest hits album. So, they chose eight of their best songs and put out what was to be a must have for any Outlaws fan or someone who considered themselves a purveyor of Southern Rock. I was the latter. It might have been only eight songs buy by God, what eight great songs they are! 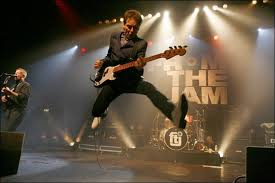 There are the three best known songs, at least to me, “Green Grass and High Tides,” “Ghost Riders in the Sky” and “There Goes Another Love Song,” which I had always thought was on the “Los Hombres Malo” album because I remember it being played quite a bit on radio in early 1983. As an added bonus, the version of “Ghost Riders” is a live recording that sounds really good. The album also opened my eyes to some of the lesser known Outlaws jams as well. “Hurry Sundown,” “Holiday” and “Stick Around for Rock and Roll” are all great songs as can only be done by the Outlaws. All three have those long guitar solos in that Southern Blues based fashion. The only track that doesn’t go in this mold is “Take It Anyway You Want It.” It actually has a more harder edge but lasting only three minutes and fifteen seconds, is very short for an Outlaws song. It’s still a decent song goes well in this compilation of Outlaws’ history. 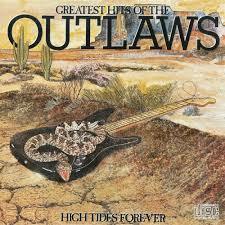 There are so many greatest hits albums around that it’s no wonder that the Outlaws would put out one of their own. “High Tides Forever” contains the classics that made their name at the time. Let me say that I am feeling rather foolish at the moment for not including Thin Lizzy’s “Black Rose, A Rock Legend” in my tour of 1979 albums. After all, Thin Lizzy were a great influence on heavy metal as affirmed by many of the metal bands we would come to know and love in the 80s. For those who have joined recently or haven’t read it, check out my post “Other Great Metal Influences: Part 7- Thin Lizzy” for further information. Furthermore, many metal heads, especially many I have met in the UK, were all fans of Thin Lizzy. 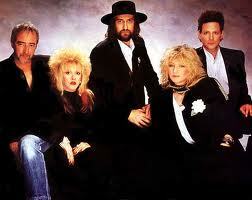 It has been said that the 1980 album “Chinatown” didn’t measure up to their previous album which I mentioned earlier. Many have blamed this on the departure of guitarist Gary Moore, (yes his leaving was a major loss for the band) and the recognisable drug problems of Phil Lynott. However, after getting reacquainted with “Chinatown” after so many years, I don’t want to make any comparisons because for me, there is nothing wrong with this album. Ok, maybe one small thing, the opening track, “We Will Be Strong” went on a little too long but it was still a good album opening song. Then there are the two songs I have known for years, “Chinatown” and “Killer On the Loose.” Both are good rocking songs in the tradition that made Thin Lizzy famous. Other standouts include “Genocide, The Killing of the Buffalo” and “Having a Good Time.” However, I still rocked along to the rest of the album and it reminded me that Thin Lizzy, even this late in their career, were still a force to be reckoned with in the rock world. I can also see from this album why they would go on to inspire a many metal bands less than a decade later. 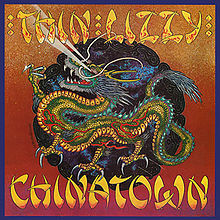 For many die hard Thin Lizzy fans, “Chinatown” might not have ranked up their with some of their other ones. However, for me, this is a damned good album and it reminds me why they were such an influence on the establishment of heavy metal. So much so, that many people in the mid 80s would class them as such. 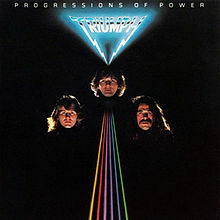 Like I did with 1978 and 79, I am starting off 1980 with albums that were released in the previous year but didn’t come to my attention until the year I’m posting about. 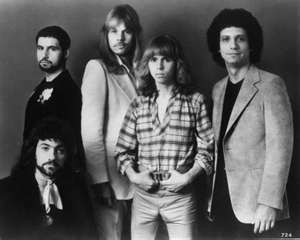 “Head Games” by Foreigner was one and so was “Cornerstone” by Styx. 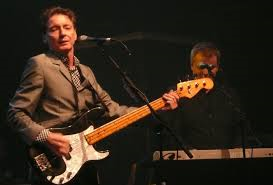 The album first came to my attention in the February courtesy of what is probably their best known single, “Babe.” During that month, it seemed every time I would return to base via the back gate, that song was blasting out of the juke box in the bar across the street. I know for a fact that the bar in question was called The Zodiac because the bar next door to it, Dale’s, had mostly country music on their box, although they did serve a delicious bowl of chilli. 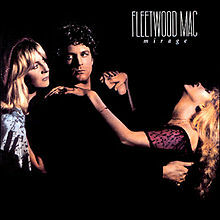 As a result, I got to hear the song quite a bit and while on the subject, I promise that I won’t link every album between 1980 and 83 with my military experiences. 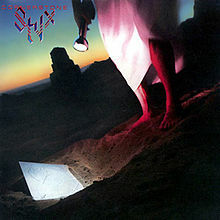 No band, with the possible exception of Kansas, was able to equal Styx in the art of fusing progressive rock and hard rock. Their previous two albums, “The Grand Illusion” and “Pieces of Eight” plus much of their earlier records bare witness to this. “Cornerstone” is more a lurch to the progressive side of their sound. 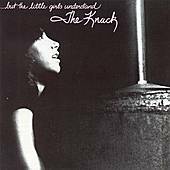 Most of the album seems to follow the flow of the march behind “Babe” and their other single “Why Me” with the progressive sound. The one track that tends to be more harder rock is “Borrowed Time.” This is not to say that it’s not a good album, in no way is it bad and the guitar solo by Tommy Shaw on “First Time” reminded me of that great times of the previous albums. When the album came out, many hard rockers were disappointed by “Cornerstone” for it’s more progressive sound. 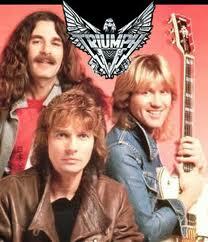 Some rock historians say that this album began their slide into commericaldom. I don’t think so and I’ll argue the case in 1981. For me, it’s still a good album with a well known song that brings back memories. I wonder if The Zodiac is still there. You are currently browsing the archives for the 1979 category.